An efficient and modern maintenance operation works best when its different technology systems communicate easily with each other. Today, production machines and HVAC systems can feed information directly into your computerized maintenance management system (CMMS), helping you identify and resolve problems faster than ever before. In turn, your CMMS software can share data with accounting software and other company “systems of record.” Scroll down to learn about the importance of systems integration. The term “systems integration” is shorthand for connecting different software applications so they can easily share information. The goal is to reduce tedious administrative work for your maintenance team, so they can focus on more important tasks. Software systems integration has evolved over the past few decades. Back in the 1980s and early 1990s, business software ran on a computer sitting on a desktop, creating little islands of computing power spread out across the organization. The 1990s connected these individual computers through powerful networks, which small businesses used for file sharing. Larger companies tapped their networks for massive, monolithic enterprise resource planning (ERP) systems. ERP systems offered a variety of business functions in one package—including accounting, human resources, sales, planning, and inventory features—but they rarely served the needs of any business function except for accounting. They were designed with an accounting perspective in mind and often perform poorly as tools for managing other functions, like maintenance. They were also expensive, difficult to implement, and nearly impossible to integrate with applications from other vendors. The need to update or upgrade a system could bring the workflow of an entire organization to a halt. Yet from these dark times, the computer software industry has emerged into a new era, where inexpensive networking technologies and improved “best practices” for software development have changed the way organizations integrate new solutions like CMMS software. Back then, you needed a specialized consulting team and a few months to integrate CMMS software with your other important computer applications. Today—thanks to easy-to-use, off-the-shelf integration capabilities—it takes your IT team and a reputable vendor just a few days. Modern CMMS solutions are designed with maintenance people in mind—for planning and managing maintenance and assets. If they easily share data with accounting and other applications, you get the best of both worlds: happy maintenance engineers with useable software, and happy bean counters with data they can use. Improved integration with external data sources means CMMS software can collect data from building automation systems as well as from meters, PLCs, and gauges on the factory floor. In fact, a modern CMMS, properly integrated, can use data from virtually any source to feed its alerts, alarms, and reports. Imagine a streamlined maintenance operation and simplified paperwork. This new era of systems integration offers maintenance operations managers the opportunity to improve communication and automate administrative duties. Today’s powerful CMMS software can make maintenance tasks more manageable for you and your organization—getting you up and running in a matter of days and at a far more affordable cost. 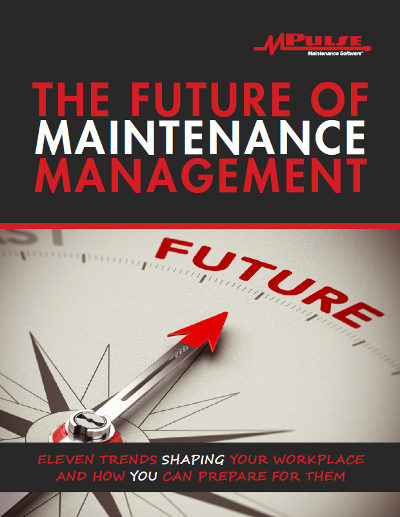 That means your maintenance team can focus on what is really important—getting the job done.